My second moon shot. This is on a full moon night.Still blurry images :( . Hmmn .... I got this new digicam and suddenly i am seeing things now differently. For example, my mom gave me plate full of boiled corn and here i am clicking photos of it and experimenting with all the features of the camera till i got the perfect picture. You can see the end result in the picture to the left. 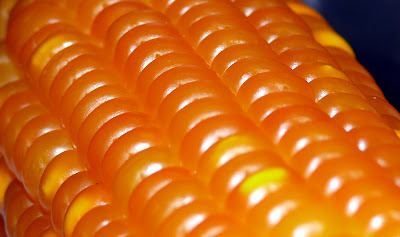 When i was finished with the photo session finally, the corn was all cold and hard. Guess the shutter bug has bitten me. I am now spending my times going through various photography web sites/blogs for tips on better photography. 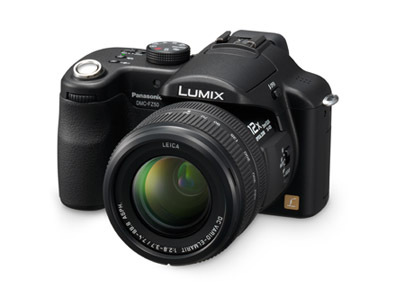 Finally -- Got my Digital Camera, a Panasonic Lumix DMC-FZ50. This camera can be classified as a bridge camera, meaning its a bridge between the simple point and shoots and the Digital Single lens-reflex cameras (DSLRs). It exactly looks like a dSLR and for the matter even feels like a dSLR and makes you feel like a professional. What mdae me go fot it? Impressive Leica lens. You would have to spend a couple of thousand dollars to get a lens of such quality otherwise. Manual zoom and focus rings. You can have a look at the complete review of the camera here. Haven't had much exposure with this cam. I will write more about this camera some time later after doing a test run of her.